Someone at Ubisoft really loves horses. Possibly to a creepy and/or illegal-in-most-jurisdictions degree. In 2014 the publisher released a mobile version of Howrse, a sort of horse-themed management/pirate math game. Then in 2015 they brought us Horse Haven Adventures, which may or may not be about a demonic princess riding the mythical Mares of Diomedes across a defeated and despoiled Earth. 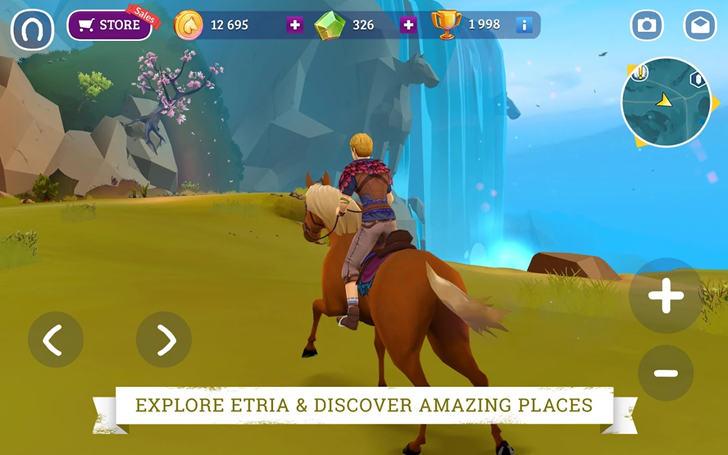 Now they're back with Horse Adventure: Tale of Estria, a third horse-themed game seemingly unconnected to the other two. 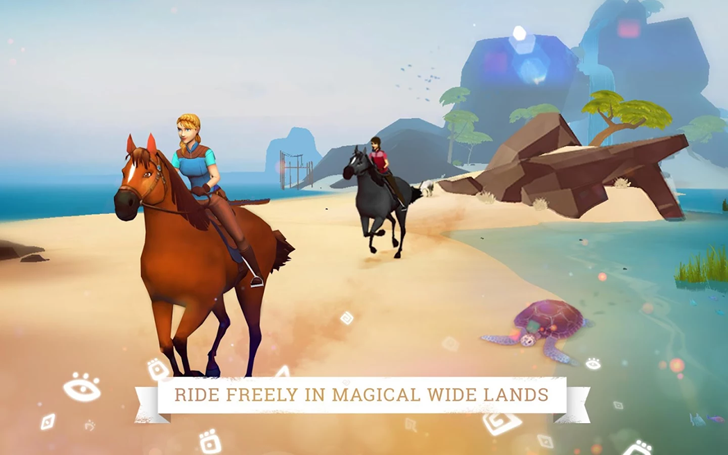 Not content with a web-based management title or a mobile village builder, Ubisoft's unnamed horse fetishist has somehow wrangled a full 3D RPG. It's like Skyrim or The Legend of Zelda, if your character had a sexual attraction to his or her means of conveyance. Most of these action-RPGs have horses (or dragons, or chocobos, et cetera) merely as a speedy means of getting across a large open world a little faster. But the land of Etria is kind of like all those Pokémon regions: horses are pretty much the only reason anyone gets up in the morning. Everyone has his or her own personal horse, the central story is all about an ancient civilization of horse-lovers, and if you aren't riding, grooming, feeding, or taking pictures of your horse, you're engaging in basic classical equestrian competitions... except instead of English costume and tack, you're wearing a rather odd mixture of leather armor and yoga pants. 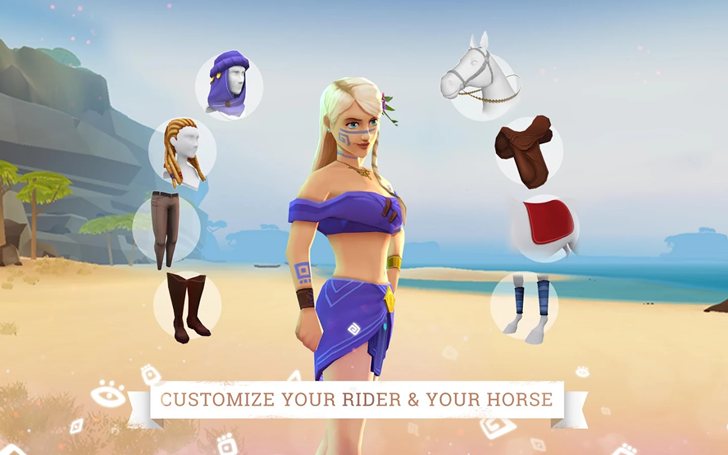 Yes, players can customize their human avatars in Horse Adventure, but it hardly seems to matter. Everything else on the planet is about customizing and accessorizing your horses and the various accoutrements thereof. 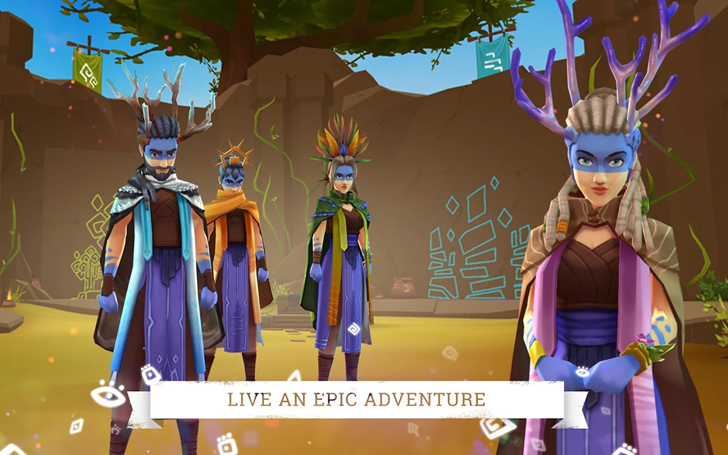 That includes the $100 in-app purchases for three different kinds of in-game currency, of course. The unnamed Ubisoft horse-lover seems to have included the basic magic horses backstory and a few leaderboard-based competitions for the sake of completion. There doesn't appear to be any actual combat in the game, not as some avant garde exploration of non-violent conflict resolution, but simply because they needed more room for adorable saddles. These non-threatening 20-something white people are the elders. They're sad because they don 't have horses anymore. They are literally the only people on the planet without horses. In the game's defense, at least the simple graphics look pretty good - surely good enough to hold the attention of the middle school children that are the intended audience. Note that at the moment it's being presented as "unreleased" (beta), with an official release scheduled for Thursday. That's probably why it's currently incompatible with all my devices. I'm sure several dozen people are waiting for the release with bated breath. Okay, Ubisoft, fine. 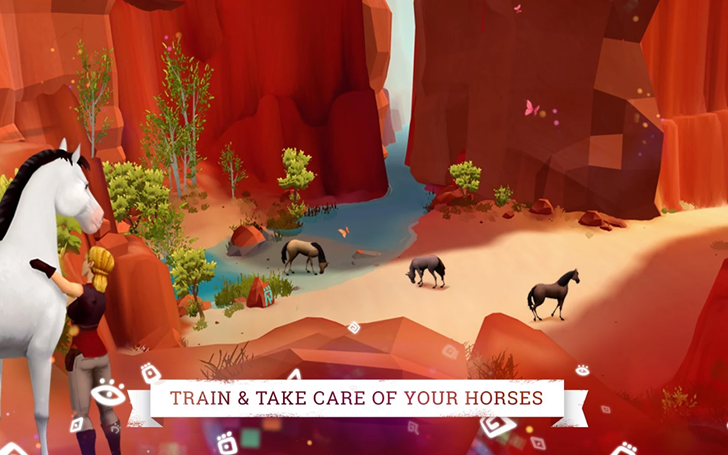 Keep making horse games, if you really must. They're clearly making money from someone. Just don't let that one guy near any real horses, okay? You don't want to get yourself into some kind of My Horse Prince situation.